CAN Input/Output Expander. Contains up to 8 digital I/O and up to 2 PWM ouputs configurable by the user. The MCP2502X/5X devices operate as I/O expanders for a Controller Area Network (CAN) system, supporting CAN V2.0B active, with bus rates up to 1 Mb/s. Contains up to 8 digital I/O and up to 2 PWM ouputs configurable by the user. 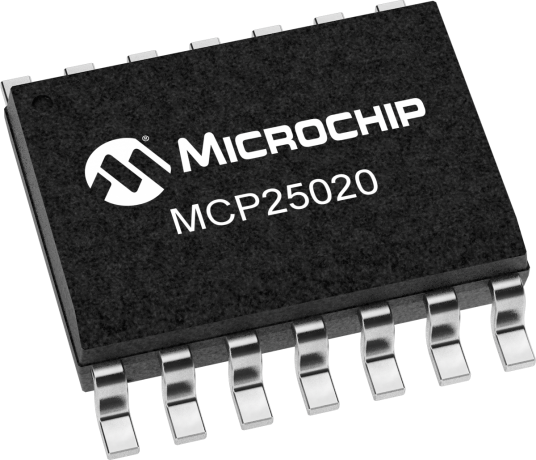 The MCP2502X/5X allows a simple CAN node to be implemented without the need for a microcontroller.